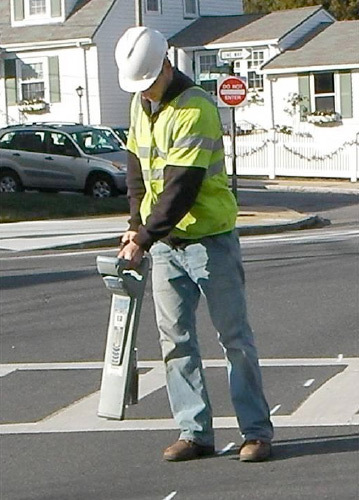 Utility Tracing, also referred to as Quality Level B Utility Designation, is a systematic process of identifying and locating underground utilities using various electronic detection devices. Electromagnetic and radiofrequency locators such as hand held pipe locators, ground penetrating radar, and magnetic locators are the most commonly used technologies. The majority of all utilities are designated using a transmitter to introduce a regulated frequency into a facility and the surface location painted or flagged using a walk over hand held detector. The resultant frequency detected on the surface is an approximate location and should be positively identified using non-mechanical excavation such as non-destructive vacuum excavation. Please contact one of our experienced Project Managers to discuss how our Utility Designation Services can provide invaluable existing conditions data for your next project.